By Margaret: Glossopdale Womens’ Institute started the New Year with very much a backward look at times past. 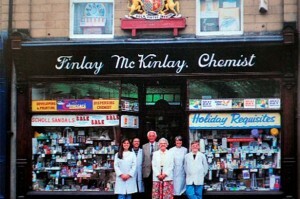 The speaker was Fay Hartley, former owner of Finlay MacKinley chemists shop in the centre of Glossop. Fay told us of previous owners and their connection with the Duke of Norfolk. She showed us details of mid 19th century prescriptions; some of the ingredients left us wondering whether the medicine was an effective cure or actually caused more harm to the patients than good. Fay’s grandfather began as an apprentice and eventually bought the practice which descended through the family to Fay herself. 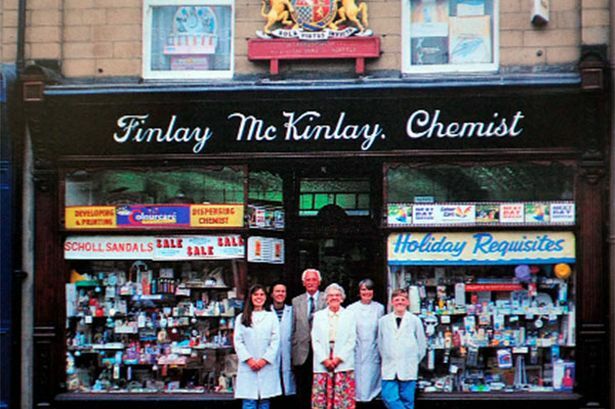 Sadly, as we all know, the purchasers of the business when she retired have now moved elsewhere and the premises lie empty – a rather sad end to a distinguished history. The next meeting will be held on Wednesday 19th February at 9.30a.m. at The Labour Club when Gordon Greenwood will be telling us about his experiences with the Amish Community. All ladies are welcome to come and join us for the day and see if they would like to become part of a lively and friendly group.